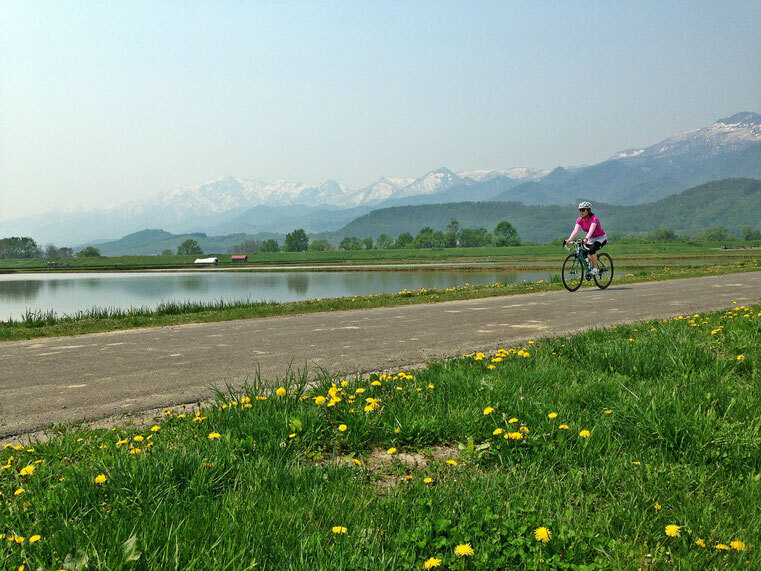 We have had a remarkable week of weather that has marked the start of the summer cycling season here in Hokkaido. It was only last week that we were still riding in soft shells and arm and leg warmers. In the valley, the rice has just started to sprout through the water and local farmers are busy tending to their crops. At mid elevations in the shaded areas there are still blooming cherry blossoms. Up high, the mountains are still covered in snow, but with these temperatures, it won't be long before the peaks take on the green colour of the valley. Looking forward to a good season of cycling ahead.